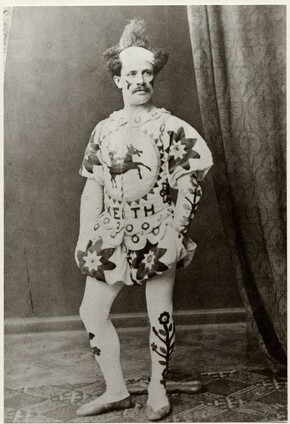 James H. McKenzie could not read or write before the circus. He never got a formal education. He was on the move so much as a child that he never got the opportunity to be educated. When with his wealthy family, he was given a chance to learn, sent away to a boarding school. However, this did not last long, as James was barely settled before he was moved once more to a different family, a family that could afford to have him learn. 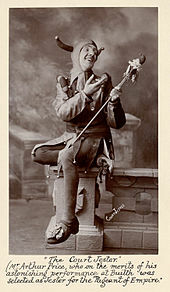 The circus taught James a lot, not only to read and write but also to perform and be a star. James went to the school of life, he learnt everything he knew from his downfalls, as well as his successes. He learnt how to be a good person, how to be kind and gentle towards others, as well as how to succeed in everything he put his mind to. It did not matter where James had come from, all that mattered to him was where he would go. The old man’s daughter described James as “my father’s adopted son” (P. 85) because that is precisely how the old man saw him. He adored the young boy, and when he fell ill, unable to work, he implored James to learn his jester act, to make sure his legacy would survive if the old man should die. The other clowns laughed at James for suggesting he would do it, but the old man was like a father to him, and therefore he agreed “to do my best” (p. 86). The old man did not die that day but soon later he got ill once more, and James’ was heartbroken to hear of his passing. Circus life was hard. It was a lot of work, especially when it came to the London holiday fairs. The shows could last weeks and with a forever line of people waiting to see the short thirty-minute shows, there was no time to stop and rest. The hard work would leave the performers and circus lot feeling “stiff and sore all over for days” (P 86). But to James and all his fellow performers, it was worth it. In the circus, James finally had a family, “all showmen in those days were friends for the horses created a comrade”. James was surrounded by people who loved and supported him, people who encouraged him to grow and learn. The circus made James into who he was and he up to the day he died, was grateful to have experienced such joy. Hepplewhite, P. (2009). Victorian Education. Watts. Horn, P. (2010). The Victorian & Edwardian Schoolchild. Amberley Publishing Limited. Janik, V. (1998). Fools and jesters in literature, art, and history. Westport, Conn.: Greenwood Press. Otto, B. (2007). Fools are everywhere. Chicago, Ill.: University of Chicago Press. Sacks, J. (2010). Victorian Childhood. Bloomsbury USA. Vam.ac.uk. (2019). Victorian Circus – Victoria and Albert Museum. 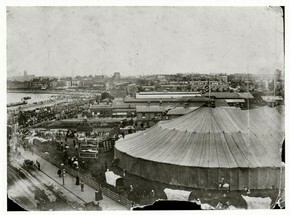 [online] Available at: http://www.vam.ac.uk/content/articles/v/victorian-circus/ [Accessed 15 Apr. 2019].